Does the age-related tax relief come off capital gains tax? As a non-domiciled UK resident and being over 70, I will be selling a property this year that I have rented out for the past nine years. I have paid tax on the income. 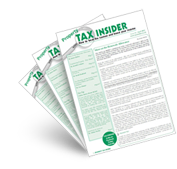 What are the capital gains tax (CGT) implications when I sell? Does the age-related tax relief come off the CGT? Assuming that the property is in the UK, you will be liable to UK CGT when you sell the property, because you are UK resident. You mention the 'age related tax relief'. I assume that you mean the increased income tax personal allowance because you are over 70. This will not affect the CGT you have to pay. First, you deduct the CGT annual exemption (currently £11,100) from the gain. Any remaining gain falling within the unused basic rate income tax band (currently £31,865) is taxed at 18%. Any remaining gain after this is taxed at 28%.